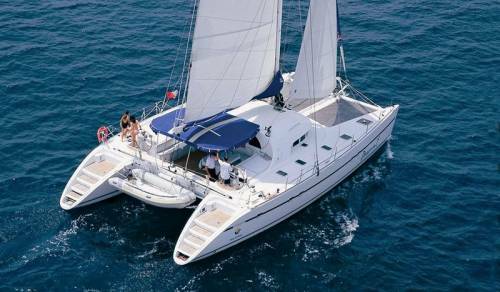 Catamaran charter Croatia is one of the most popular forms of yacht rental for amazing sailing holidays in Croatia. 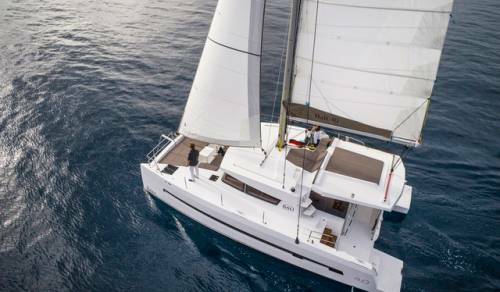 With a wide range of luxury crewed catamaran charter, skippered and bareboat catamarans available for rent in Croatia, catamaran charter provides exciting sailing options. 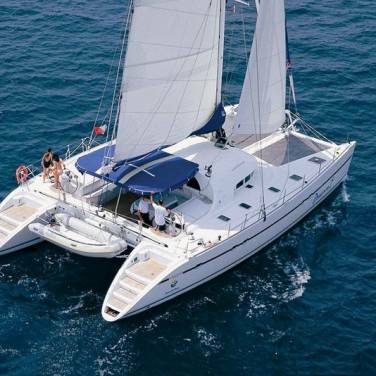 Sailing and power catamarans are multi-hull charter vessels, offering a high level of comfort, space, privacy and stability during each moment of your yacht charter holiday in Croatia. 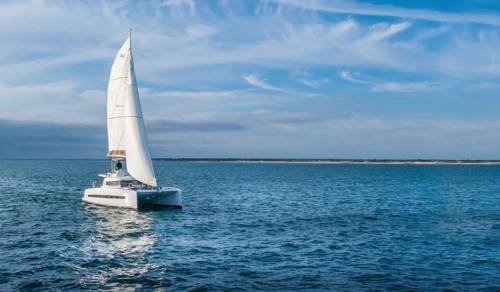 Due to two hulls, catamarans are more stable and faster than monohull yachts, representing an ideal compromise between sailing performance and comfort. Moreover, their stability helps prevent any tendencies toward seasickness, enabling you to have a more pleasant sailing experience. Another advantage of chartering catamaran in Croatia is that you can anchor in shallow waters, closer to the coast, and thus explore hidden coves and bays dotting the Adriatic shoreline, without ever venturing too far from comfort. 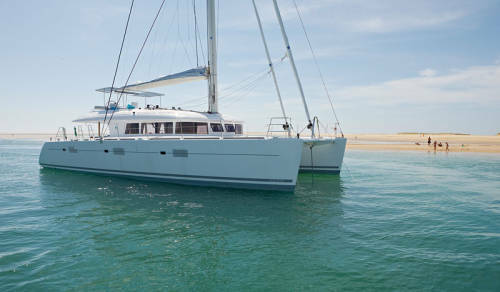 Catamarans have comfortable sleeping cabins, ample cockpit space, versatile living areas and plenty of deck space, which makes them perfect for family charters or charters with a larger group of friends.Catamaran rentals also grant you more privacy on your charter holiday, with catamaran cabins being located in separate corners of the vessel, away from the salon and the galley. The number of cabins usually varies from 4 to 6, offering comfortable and pleasant accommodation for up to 12 persons aboard. 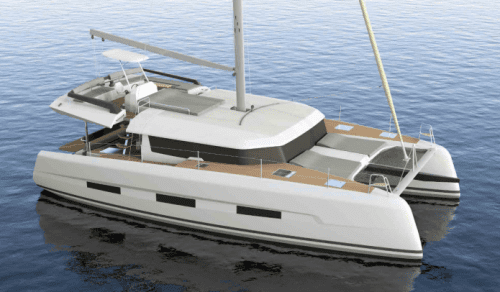 Our wide selection of catamarans for charter in Croatia includes models of the most popular catamaran manufacturers such as Lagoon, Nautitech, Fountaine Pajot, Leopard and Privilege, allowing you to find a catamaran for rent most suited to your needs and preferences. 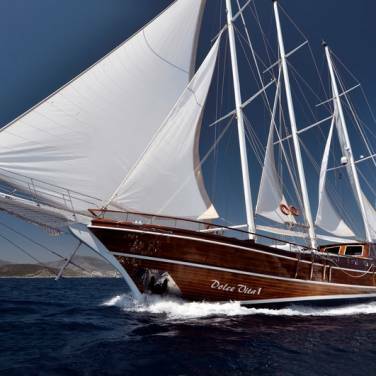 However, considering the fact that catamaran charter Croatia are a very popular form of yacht charter holiday in Croatia, it would be advisable to book yours in advance. 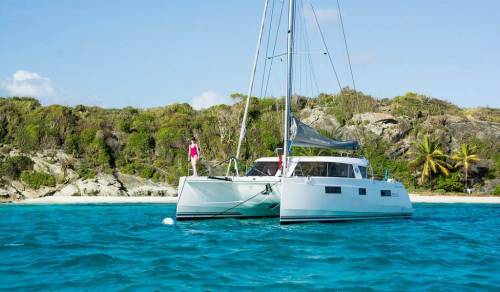 Depending on your nautical skills, you can hire catamaran with skipper, bareboat or luxury catamarans with crew. 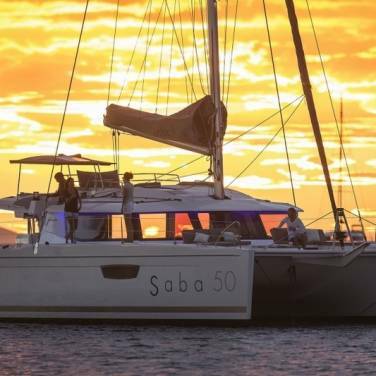 Skippered catamaran charter are generally intended for charter clients without a sailing license or for those who simply want to have a stress-free sailing holiday, without having to handle the aspects of navigation all by themselves. 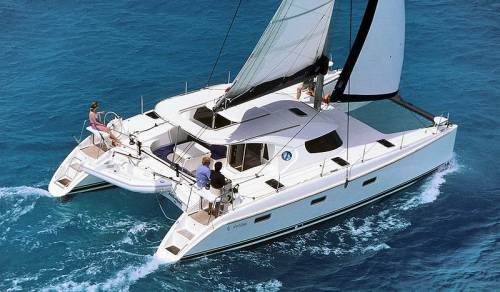 On the other hand, if you possess a sailing license and you want to enjoy an unrivaled level of privacy during your sailing holiday, then bareboat catamaran rental is an ideal choice for your vacation in Croatia. For all those eager to experience the ultimate charter service and be pampered by the discreet and professional crew aboard, fully crewed catamaran charter may be just the right choice for you. Whichever type of catamaran charter you opt for, Croatia will welcome you with its medley of lovely villages, ports and picturesque islands scattered throughout the Adriatic Sea. With a variety of sailing destinations that await you in Croatia, you can rent one of our lovely catamarans and enjoy the quiet solitude of secluded beaches or dock in bustling harbors vibrant with life and exhilarating energy. With all its advantages, catamaran sailing in Croatia is by far one of the most wonderful ways to discover the Adriatic Coast and all its charms.